Following rapid market expansion in the U.S., Universal Robots, is pleased to announce Douglas Peterson as General Manager. In his new position, Peterson will oversee operations in North and South America. An ultra-precise motor in a compact, flat stage design facilitates mechanical integration of the new N-565 linear positioner. The robotics field is rapidly growing, especially in recent years. 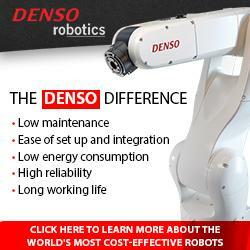 Robots take the place of humans in dangerous working environments. At the same time, they often outperform humans in their precise and fast working manner and are therefore, used in more and more areas. 06/13/16, 03:34 PM | Industrial Robotics, Factory Automation | Dorner Mfg. Corp.
Dorners new 2200 LPZ / Z-Frame Conveyor comes with one or two pivot points, and features an extremely low profile to fit under machinery or any other tight spots. The new ArcWorld® 2000 welding workcell is a modular solution specifically designed for robotic welding of large workpieces. For the sixth edition of the event, Innorobo 2016 successfully premiered in Paris, once again helping to accelerating the development of robotics innovations to benefit humankind. Beyond the figures and the event, Innorobo brings to life the community of players driving the robotics transformation and opens it up to major groups from France and around the world. Top engineers from Wynright Corporation, a wholly-owned subsidiary of Daifuku North America Holding Company and a leading U.S.-based provider of intelligent material handling systems, will be participating on panels at the AVUSI New Englands ROBOTICA 2016.